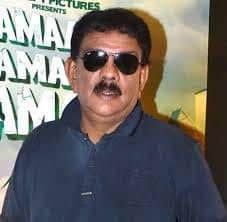 Priyadarshan is best known for comedy films in the Hindi film industry. Bollywood’s most entertaining movies like Hera Pheri, Bhagam Bhag, Hulchul are by him. He is equally famous for directing films in Malayalam as well. In 3 decades of his career, he has worked over 90 films. BOTY has created a column for Priyadarshan movies which includes the list of all his Hindi & Malayalam movies. Along with these, he has done some Tamil & Telugu movies as well. Priyadarshan is one of the most renowned directors & producers in Hindi as well as Malayalam film industry. In early 80's, he started his career in Malayalam film industry. Later, the director tried his hand in Hindi Cinema & became to direct the highest number of films in Bollywood after David Dhawan. Mostly, Priyadarshan movies are of the comedy genre. In the year 2013, the director announced his last Bollywood film, Rangrez. Since then, he has focussed on Malayalam films. In addition, Priyadarshan has done some films in Tamil & Telugu as well. In three decades of his career, he has done more than 90 films. Since all his films cannot be listed here, BOTY has created a list of Priyadarshan movies which includes all his works. Check out your favorite ones.